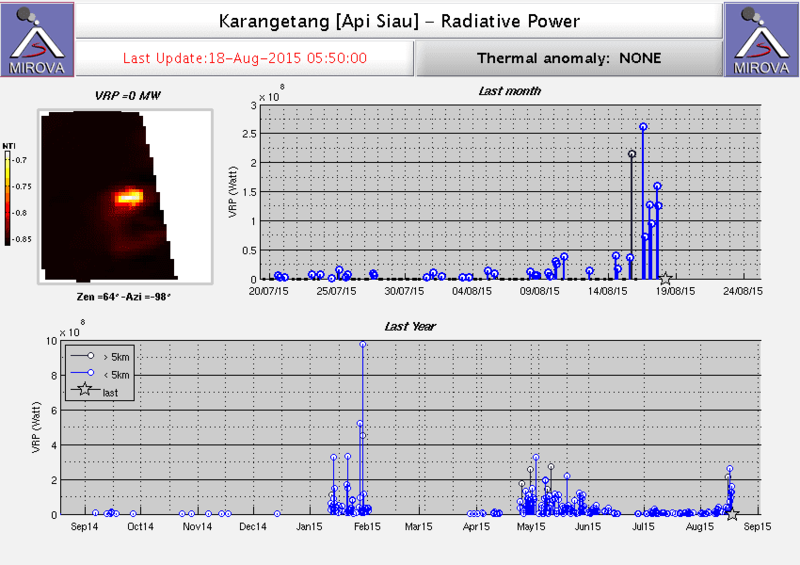 Thermal signals from the volcano have been increasing over the past days, suggesting that the lava output at the summit crater has increased. This could again again to dangerous pyroclastic flows if the lava dome or lava flows become unstable on the steep upper flanks of the volcano. Such flows can easily reach inhabited areas.